On tap at Shepherd & Knucklehead – Haledon, milk-sugared cinnamon coffee sweetness and maple-syruped cacao adjunct meet spiced-up ancho chili peppering in luxurious full-bodied setting. Maple cinnamon coffee continuance gains chocolate-caked vanilla frosting as well as curried cardamom-cumin-nutmeg snips plus distant bourbon, rum and coconut reminders. Overweeningly stupendous! On tap at Taphouse 15, lovely dark-roast coffee frontage gains bittersweet dark chocolate fudging and light black peppering in enjoyable semi-rich setting. Richly creamed cocoa-nibbed brown chocolate spicing embellished by sweet molasses-burnt bourbon vanilla persistence and light whiskey snips to its sugared oats spine. Maple-sapped caramel chocolate center countered by cedar-charred hop roast. Ancillary cookie dough, toffee, cappuccino and hazelnut illusions surface at the serene bourbon-whiskeyed chocolate finish. On tap at Plank Pizza, worthy collaboration uniting Jersey City’s Departed Soles with Linden’s nearby 201 Ton utilizes “gingerbread maple syrup” to enhance bittersweet Madagascar vanilla bean adjunct as well as creamy molasses-sugared chocolate malting. Smooth dewy peat earthiness and tertiary cocoa-cinnamon illusions stay below. 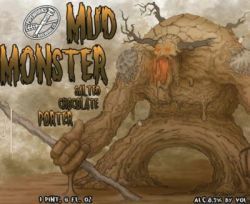 On tap at Plank Pizza, rangy 11.5% ABV porter drapes creamy dark chocolate syrup atop mildly spiced dried fruiting. Mocha-bound black cherry, raspberry, raisin and prune tones gain slight rummy molasses and bourbon vanilla licks while ashen hops relegate distant wood-seared tobacco leaf crisping. Yummy chocolate cherry cake dessert alternative. 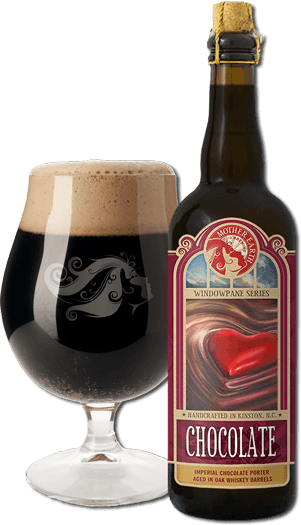 On tap at Ambulance, adequate Imperial Porter may lack pertinent salted caramel influence but easy flowing dark-roast mocha setting picks up mild dry cocoa, dark chocolate, coffee, vanilla and molasses illusions that linger softly. Musky Madagascar vanilla bean oiling surfaces above “subdued hops” and dewy moisturizing. Soy-sauced brown chocolate influence picks up wet-wooded peaty compost tendency. On tap at Denny’s Beer Barrel, decadent 28th Anniversary Imperial Porter tweaks molasses-sapped bourbon vanilla with milk chocolate-y cocoa nibs and peat-smoked wheat malts. Sweet orange peel adjunct seeps below the mix. Subsidiary toasted coconut, roasted tobacco, pureed raspberry, blueberry and port illusions add resilience to boozy (11.5% ABV) to oak-barreled dessert.